MainAll NewsInside IsraelUN infiltrators deal back on the table? Deputy Mayor of Tel Aviv-Jaffa, Arnon Giladi, revealed in a Facebook post that he met with Prime Minister Netanyahu's close associate Yariv Levin in order to revive the UN deal to absorb thousands of infiltrators as Israeli residents. 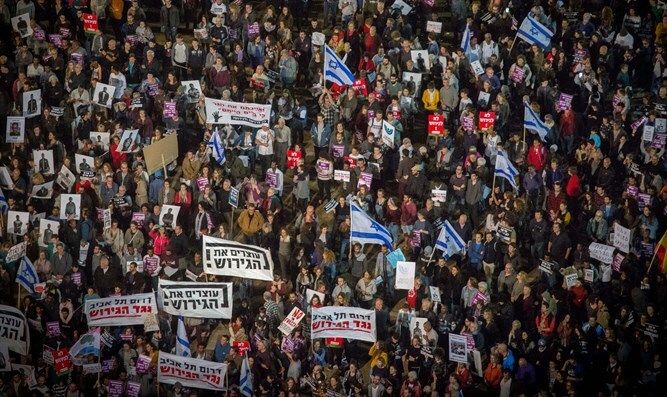 "In light of the situation in which residents of South Tel Aviv neighborhoods have found themselves, in which it is impossible to promote the party's political parties, Bennett makes a political turn on the back the residents of the neighborhoods for headlines. Kahlon, who pretends to be on the side of the High Court of Justice and wants to disperse the infiltrators in the periphery .A nd all the more interesting is that he will have enough workers for his private sector, as long as they are not in the backyard of a population of his voters, and ... Binyamin Netanyahu, the Prime Minister of Israel, finds himself back where he started," Giladi said. Giladi stated that he met with Minister of Tourism Yariv Levin "to discuss together how to get out of this situation that continues to make the residents of southern Tel Aviv miserable." "The meeting raised proposals to increase the voluntary exit grant to $10,000 for the infiltrators, without the exception of infiltrators with a criminal history from the State of Israel (as is happening everywhere in the world). Renewing negotiations with the United Nations should bring an improved agreement to remove the infiltrators, We will continue to struggle relentlessly for the well-being of the residents of southern Tel Aviv - until the illegal infiltrators are removed immediately." Prime Minister Netanyahu shocked the nation in April when he announced the deal with the UN in April. The deal would have seen Israel deport approximately 16,000 illegal infiltrators while granting residency to the same amount of infiltrators. The deal was cancelled less than 24 hours later following significant backlash.